This is a very interesting puzzle. 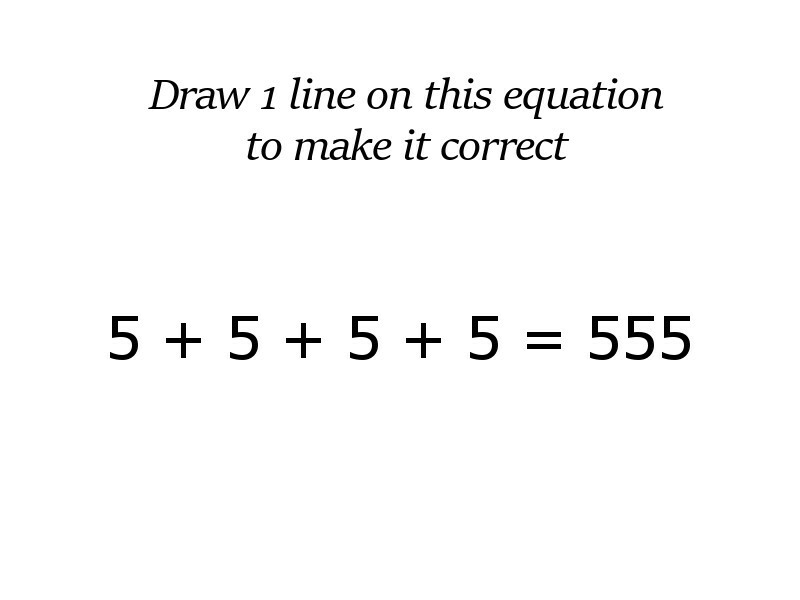 Draw one line anywhere on this equation to make it correct. At first it seems impossible but if you think hard enough you will finally solve it and realize it was pretty simple.